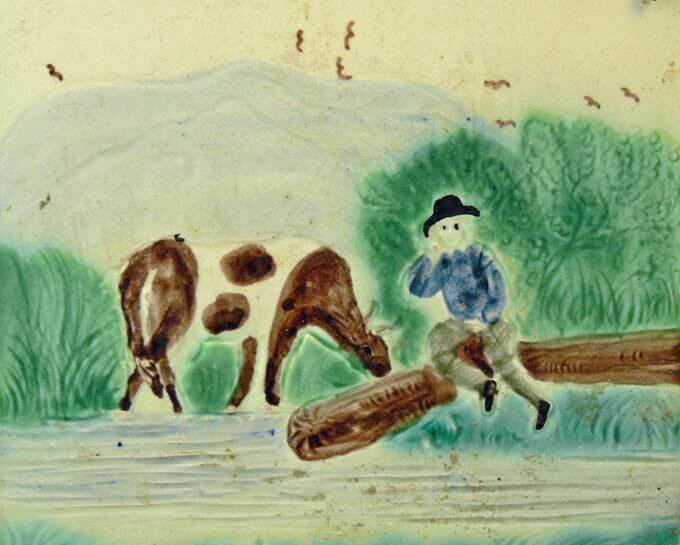 Hand painted primitive scene of a man in 18th century apparel sitting on a log by a stream from which a cow is drinking. 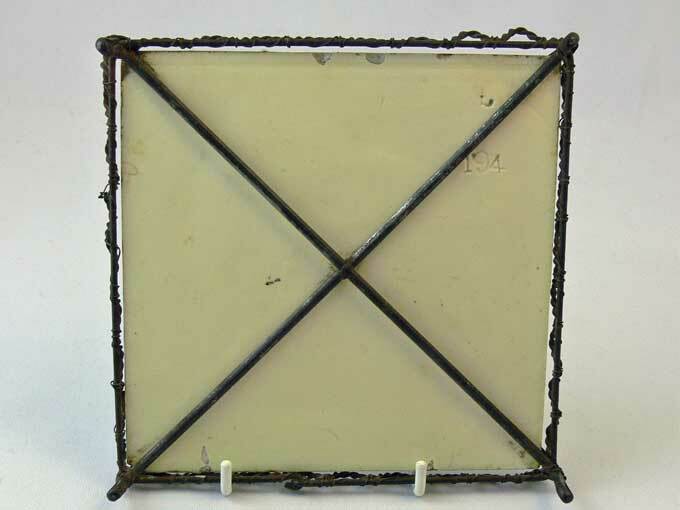 The tile is held in a hand-worked wirework frame. 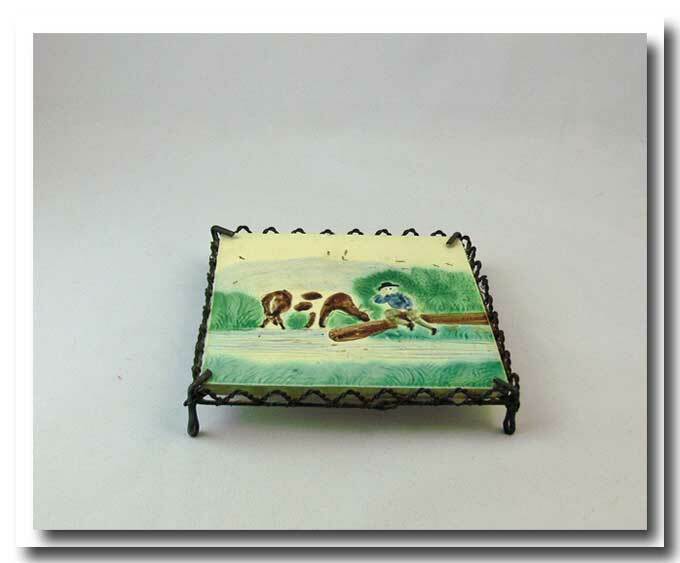 The tile measures roughly 6 inches x 6 inches and is possibly from the Minton China Works, England. 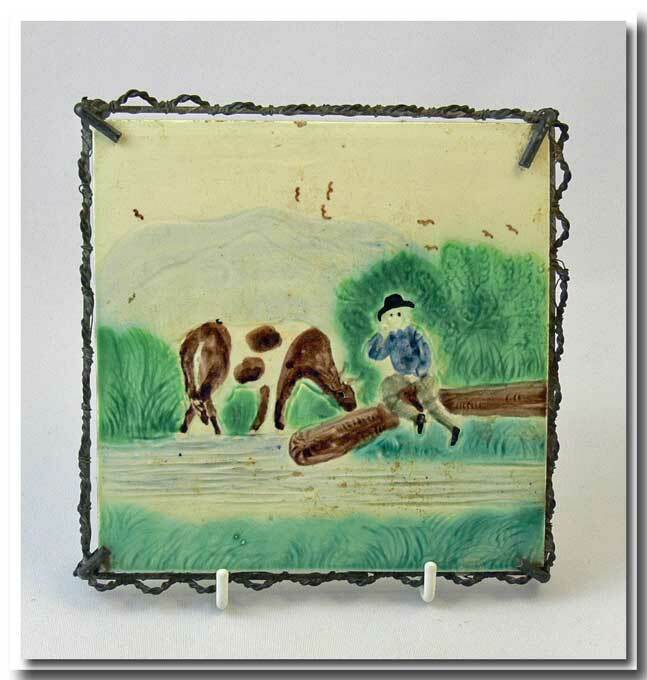 Minton’s started producing tile in wirework frames about 1865 & examples appear in their catalogue from this time. There are 2 small chips on the front upper edge & right corner and a few on the back. The back is stamped “194”. Each number is stamped separately. The tile is glazed on both sides. The wirework is very dark but in perfect condition. A nice folky hand-painted scene. Please note the wireframe distortion is only in the pictures.